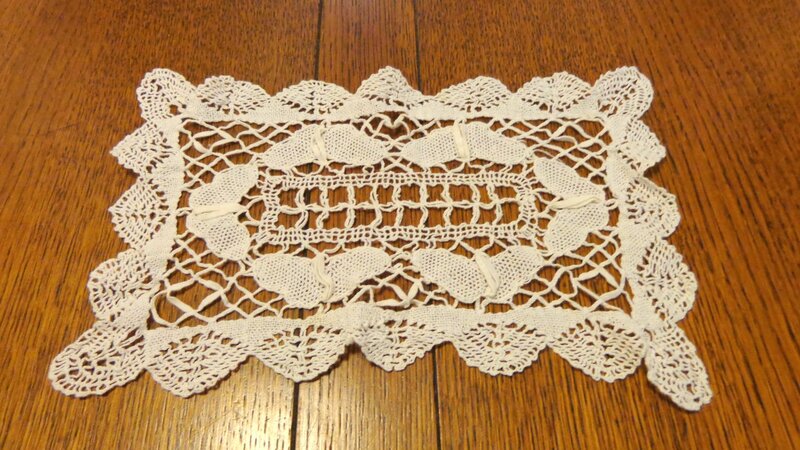 A lovely old doily in perfect condition that features lavish bobbin lace that is worked from a central grid framed in butterflies to a scalloped crocheted edge. This is a rectangular doily. The color is slightly off whilte. The length is 11 inches. The width is 6.5 inches. Please note you can combine doily purchases without adding to your shipping for one.